We deploy and maintain an incredible fleet of air transport vehicles so South Texans has a reliable source air ambulance services. HALO-Flight is proud to operate 3 Bell 407 helicopters and a Twin Engine Bell 429. Our 407 aircraft have been the workhorse of our lifesaving fleet since 1999 and has been key to our perfect safety record. The Bell 429 offers the latest safety technologies, huge cabin area and a 160 mph cruise speed. 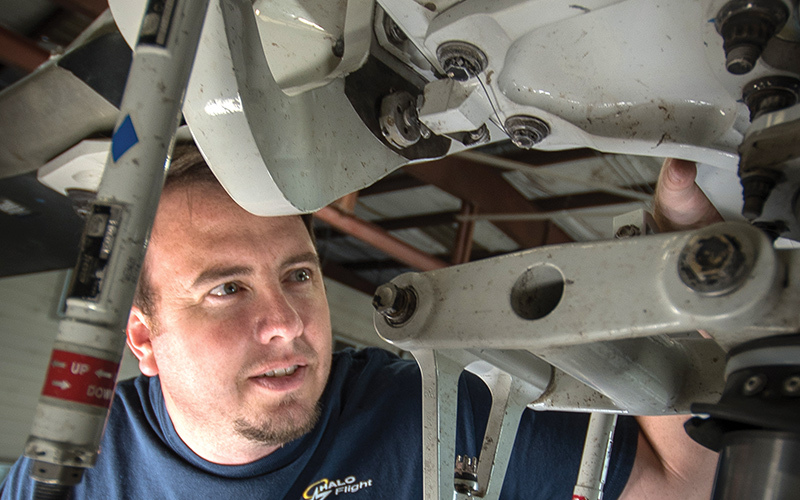 The Corpus Christi base is our maintenance center and administrative headquarters, and houses an emergency response helicopter and a helicopter dedicated to our partners at Driscoll Children’s Hospital. In 2012, HALO-Flight. Inc. opened a based at CHRISTUS Spohn Alice. This location was chosen to provide a faster response time to our most critical patients. 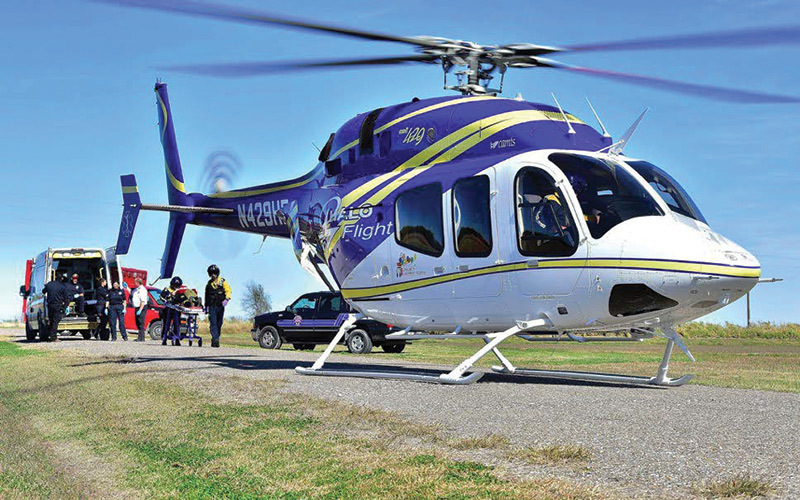 In 2015, the newest base was opened at CHRISTUS Spohn Beeville and is home to the Bell 429. VHF, 800 trunking and global satellite phones are at the crew’s disposal for optimal communications. 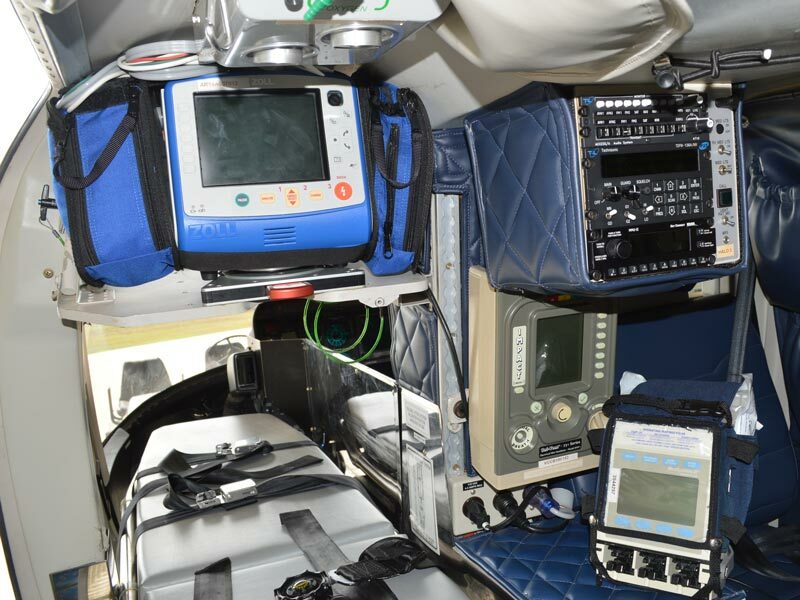 The Alaris three-chamber IV system allows the crew to run three drugs precisely through the IV pump just as in the ER or ICU for continued levels of care. HALO-Flight helicopters are equipped with multiple radios and other communications systems to stay in touch with police, fire, EMS and hospitals. The Zoll Cardiac Monitor allows monitoring of blood pressure, heart rate/rhythm, oxygen saturation and carbon dioxide levels in the airway. Electrical pacing and defibrillating of the heart can also be performed. 12 lead EKG’s are able to be transmitted to the receiving cardiac facility from the scene.